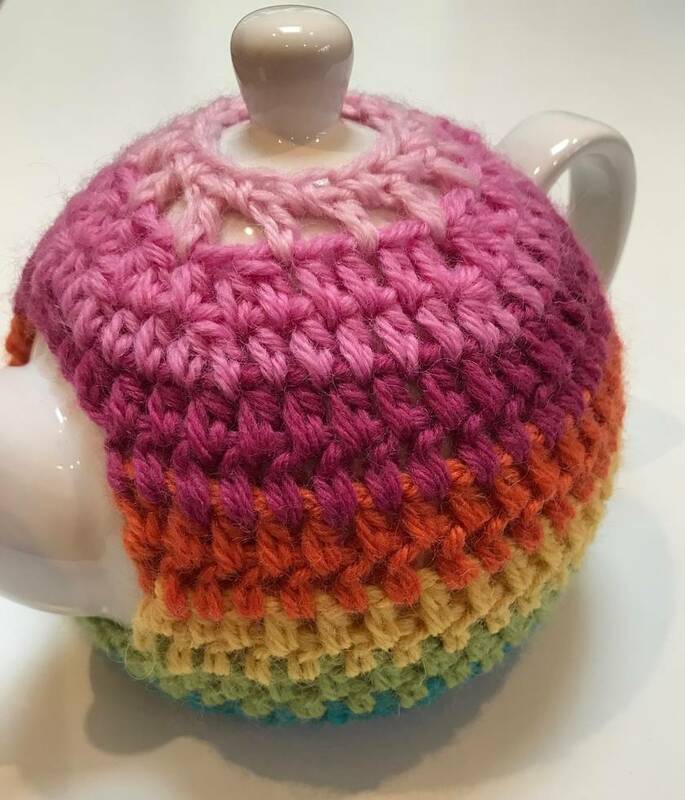 Gorgeous Striped Tea Cosy with FREE Teapot!! This gorgeous tea cosy is my own design and is crocheted using pure wool. The body of the cosy is rainbow striped and it fastens at the base of the handle with a vintage button making removal of the cosy a breeze. Even if you're not a tea drinker, this would look fabulous on a kitchen shelf. And as this cosy was made to fit this specific sized teapot - the brand new white 2 cup teapot is included too - completely FREE! 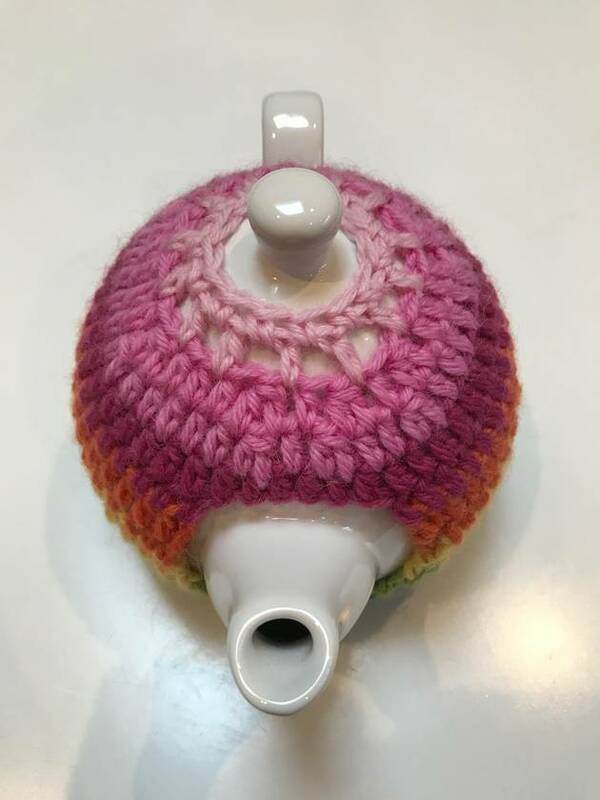 This tea cosy and teapot makes the perfect gift for those hard-to-buy-for people! If you want to purchase this as a gift I am happy to gift wrap and include a small card with your message. Please feel free to ask any questions. 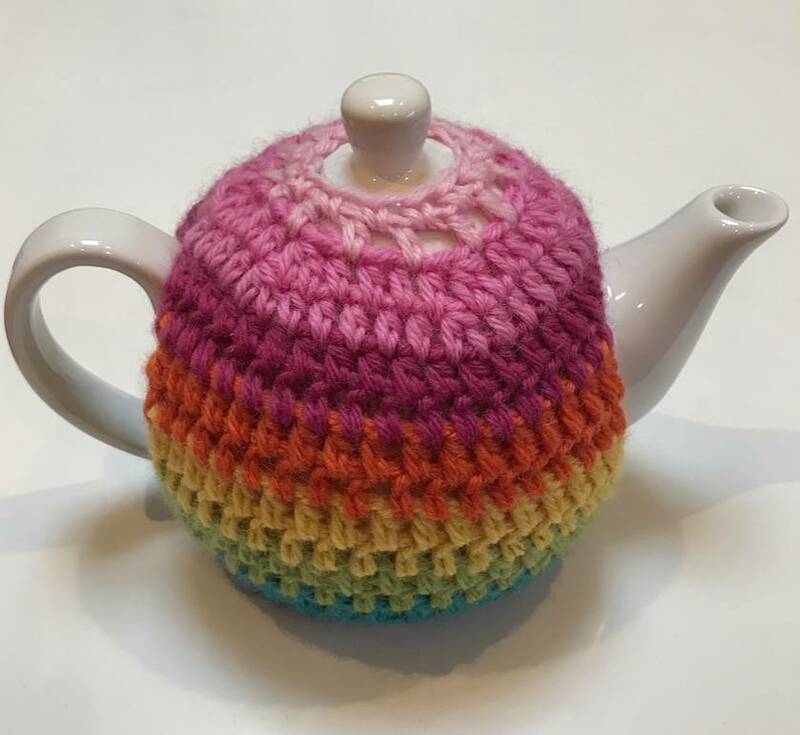 If you have a specific colour combination you would prefer, I'd be happy to make and list other tea cosies. Contact bambina to enquire about payment or shipping options.